Nickel is only selling riflescopes direct to hunters and target shooters. 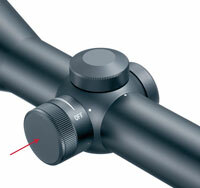 Nickel riflescopes are not available from shops. This is why the finest riflescopes Made in Germany can be offered at very attractive prices. Nickel riflescopes are not available from your local dealer. Design, production and distribution are DIN EN ISO 9001:2000 certified. Nickel AG is a member of the Gerhardt Group.